Descanso y relajación espera en Stoney Creek Cottage con acceso a arroyos de agua dulce y agujeros de natación. Una ubicación tranquila, escondido en exuberante selva tropical. Un suave paseo desde la cabaña a Barron Gorge National Park - un paraíso naturalista y observadores de aves. Encantador e impecablemente mantenido con suelos de madera pulida de la selva, ventiladores de techo con habitaciones con aire acondicionado, piscina aislada con una cubierta elevada en medio de la copa de los árboles - se sentirá un millón de millas del ajetreo y el bullicio de la vida de la ciudad. A poca distancia a Cairns central, hermosas playas tropicales del Norte y centro comercial de suministros. Bush caminar y senderos de bicicleta de montaña abundan. Pesca local de mangle jack, barramundi, perca y dorada de la plataforma de pesca cercana. El ferrocarril Kuranda es accesible desde la estación de agua dulce con Lake Placid, Skyrail y conocidas atracciones turísticas dentro de un corto paseo en bicicleta. Stoney Creek Cottage está idealmente situado para disfrutar de todo lo que Cairns tiene para ofrecer. Disfrute de un café en la cubierta o un G & T en la piscina - no importa su preferencia, la serenidad le rodean. Pero sobre todo, los entornos tranquilos te dejarán relajado y recargado. We stayed for a week at stoney creek cottage, a beautiful home with everything you need very organised and easy to utilise. Very quiet and peaceful not too far from shops and cairns city. The only thing we found was that we would have enjoyed an aircon in the main area, as it got quite hot and stuffy some nights as there wasn't much breeze and the pool as its always shaded is very cold so we only swam twice, but still absolutely beautiful property and really enjoyed our stay. Stoney Creek Cottage was absolutely divine! Oh how we would love to be back at Stoney Creek Cottage! Jen and John were so easy to communicate with and we knew they were just a phone call away of we needed anything. It was such a lovely getaway, tucked away in a private setting and surrounded by the most beautiful trees and birds. There is nothing quite like floating in the pool and watching the trees sway in the wind, or sipping a glass of wine on the deck listening to the birds. The home was immaculate, beautifully and thoughtfully furnished and we just felt at home. 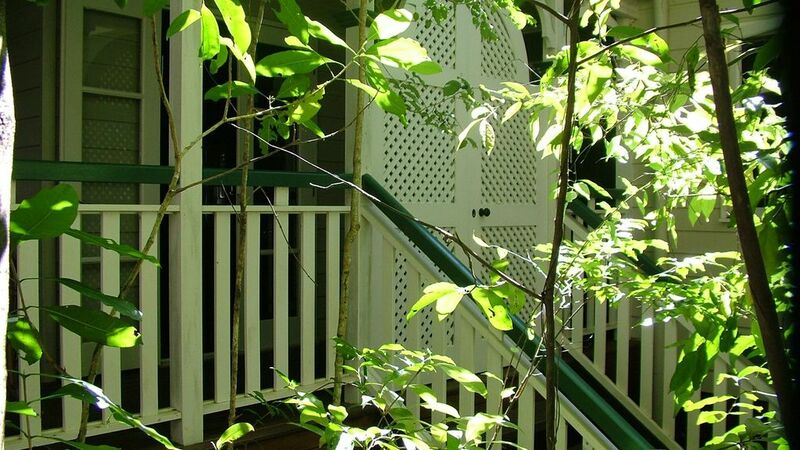 With only a short drive into the city of Cairns, we would explore the city and surroundings but we would look forward to returning to Stoney Creek Cottage at the end of the day! We loved our stay and have already started looking at dates in the new year when we will return! Thank you Jen and John for allowing our family to have a much needed break in your oasis! Beautiful comfy home . Loved the kitchen. Loads of extras that make a holiday that little bit special. Definitely be back to explore the areas walks and swimming holes. Beautiful place to stay, shame it was so brief. So comfortable and cosy, lovely relaxing location and atmosphere. Thank you Jen and John for having us. We'll be back.